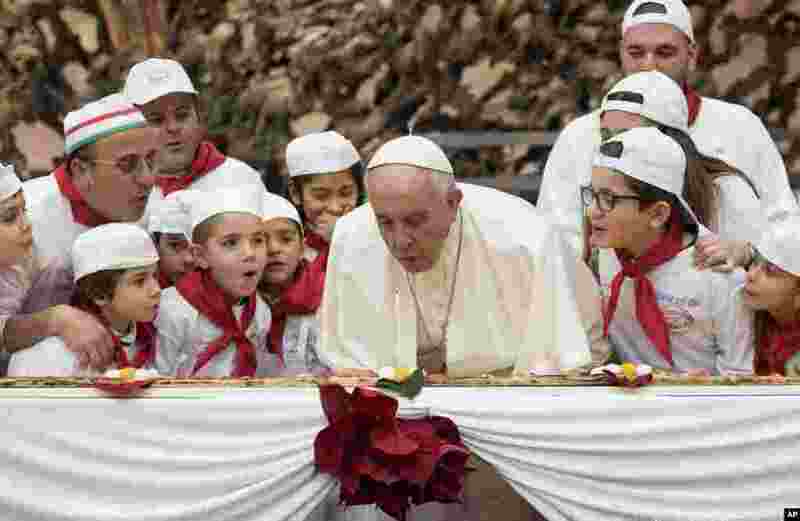 1 Pope Francis blows a candle on the occasion of his 81st birthday during a private audience with children the Paul VI hall at the Vatican. 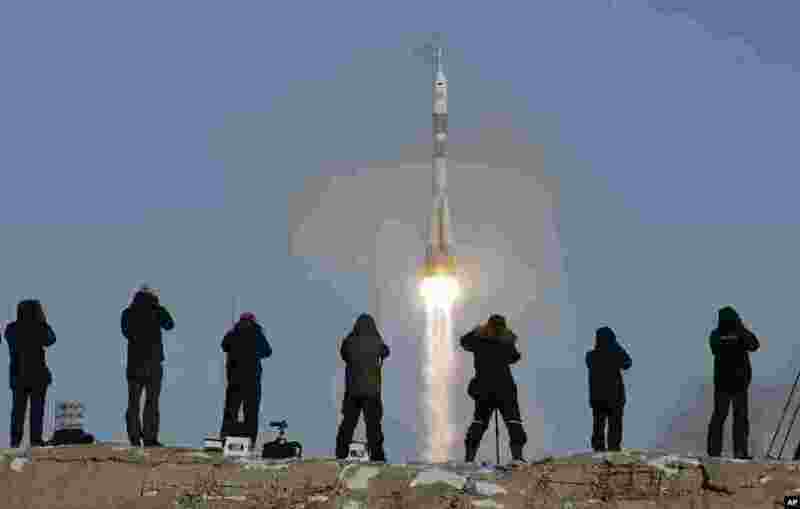 2 The Soyuz-FG rocket booster with Soyuz MS-07 space ship carrying a new crew to the International Space Station, ISS, blasts off at the Russian leased Baikonur cosmodrome, Kazakhstan. 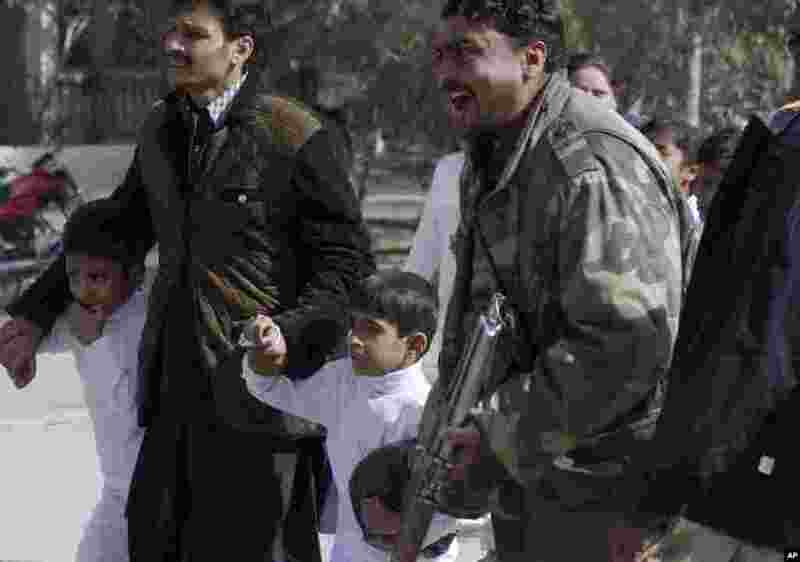 3 A police officer shouts as children are rescued following a suicide attack on a church in Quetta, Pakistan, Sunday, Dec. 17, 2017. 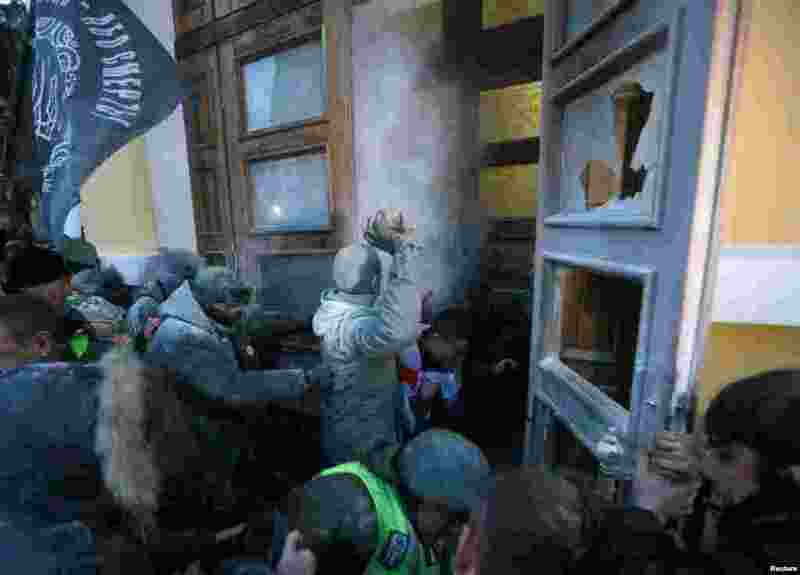 4 Supporters of former Georgian President and Ukrainian opposition figure Mikheil Saakashvili break into the building of the International Art Center in Kyiv, Ukraine.